I'd like to share my latest win. 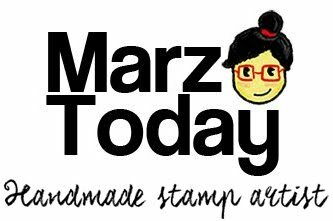 My day job fuels my stamp-making projects. Point being, receiving validation for your day-job work (that supports your side-hustle) is splendid motivation to keep pushing forward. I wrote a critique on Antipas Delotavo's exhibit Agos (Flow). Its central piece is a mural that would be displayed in the Museum of Ilocos Norte. You may read in the essay why this exhibit was particularly close to my heart. In addition, it was also the last time I got to see the late Norma Liongoren actively participate in an artist talk. Early in July I got an email that the critique I wrote on Agos was shortlisted for the 3rd Purita Kalaw-Ledesma Art Criticism prize, a subcategory of the Ateneo Art Awards for art criticism writing. It is also a noteworthy recognition for an aspiring art writer to receive. Writing about Philippine art is my bread and butter so its great to know that I am doing something right. The formal awarding took place in September so there was plenty of time for me to take it all in before holding an actual trophy. And getting a trophy for your work is something else, bub. I am sharing* my work for the benefit of the folks who were asking to see it. Its quite long don't say I didn't warn you. Being an outsider from the art scene has often made me second guess myself "Who am I to critique an artist's work or an entire exhibition?" I think at this point I can come to peace with the fact that not all art critics come with an art-studies background. With that said, I'll continue to write about art knowing that I am work in progress. And now back to regular programming. 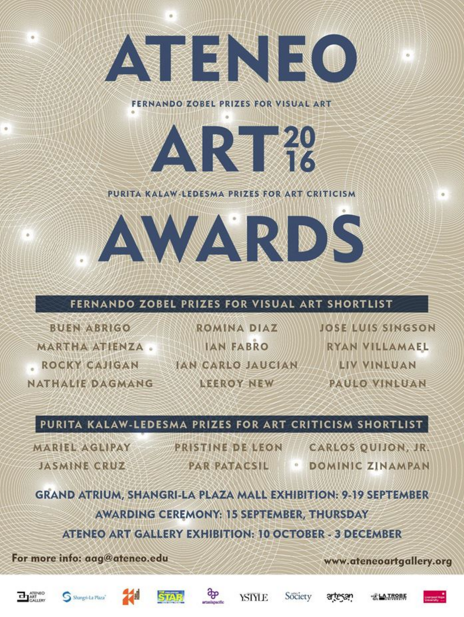 *All shortlisted critiques to the 3rd Purita Kalaw-Ledesma Art Criticism Prize are published in the 2016 Ateneo Art Awards catalog which is available at the Ateneo Art Gallery.